A seasoned business leader with 40 years of experience in corporate financing, George’s focus on new business development and relationship management lend a unique perspective to his Board activities. George is a graduate of McGill University, Osgoode Hall Law School and is a member of the Institute of Corporate Directors. 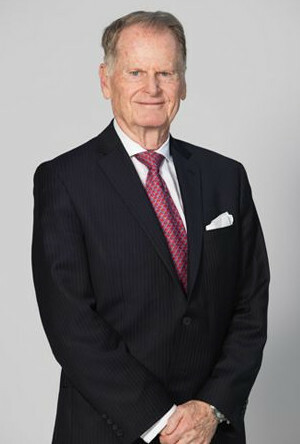 George was formerly Senior Partner at McCarthy Tetrault, Senior Counsel Gowlings, Chairman of the Executive Committee of PLM Group (acquired by Transcontinental Printing), Director of AuRico Gold (acquired by Alamos Gold), Chairman of Medworxx Corp. and Chairman and CEO of Titanium Corporation. George is currently a Director of Urbana Corporation (URB: TSX, CSE), Candente Copper Corporation (DNT: TSX), the Canadian Securities Exchange and is an Advisor to Highview Financial Group.